Hi! 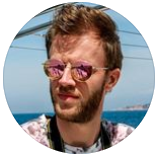 My name is Stefan, I’m 31 years old and I’m a Dutch journalist who loves sports (especially football and table tennis), traveling and photography. I created this website when I bought my first DSLR camera in March 2017. I’d like to share my best photos with you here.